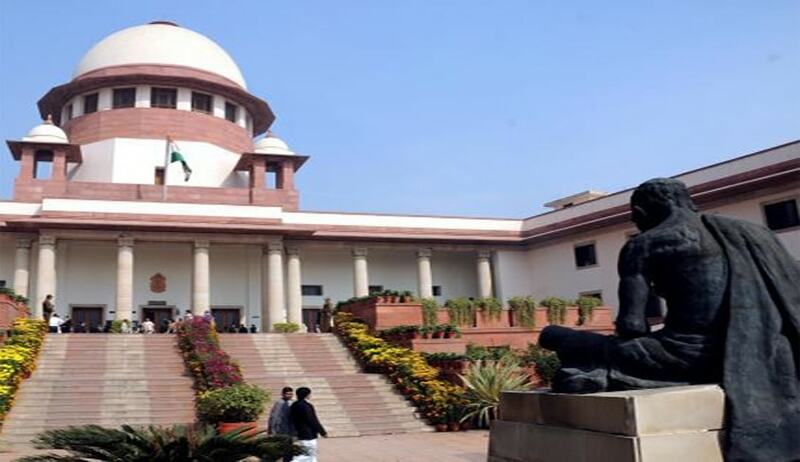 The Centre today took a big U-turn in the Supreme Court in the Uttarakhand President’s rule case saying it was “seriously considering” holding of floor test immediately as suggested repeatedly by the bench to end the constitutional impasse in the state. It is to be noted that Attorney General Mukul Rohatgi had earlier flatly rejected the proposal when it was put forth by the bench headed by Justice Dipak Misra. As the hearing began today, the AG told the bench that he will take instructions and work out the details and get back to the court on May 6. The bench then said if the centre was not willing for a floor test it will continue detailed hearing and pronounce a verdict before the court closes for summer vacation on May 13. The court had yesterday said “floor test is the ultimate test” to decide who is in power, and asked the Centre to consider having a trust vote in the Assembly to determine whether the Harish Rawat-led Congress gover nment has a majority. The court has umpteen times made it clear that it is ready to temporarily suspend President’s Rule to facilitate the floor test. “Both horse trading and airing of sting operation create a dent in democracy. That is why we said that a floor test is the ultimate test,” Justice Misra had observed earlier. The Bench had suggested that a floor test be conducted immediately after lifting President’s Rule for three days. The results of the exercise could be submitted in court, it had proposed. Rejecting proposal for a floor test earlier, Rohatgi had said: “There cannot be a President's Rule and a floor test at the same time”. On April 27 in a setback to the ousted Harish Rawat government, the Supreme Court had said the stay on the Uttarakhand High Court order on President’s rule in Uttarakhand would continue. The Uttarakhand HC Bench comprising of Chief Justice KM Joseph and Justice V.K.Bist had held that in view of Principles laid down in Bommai’s case and in Rameshwar Prasad’s case, it would be a case, where there was no warrant for a legitimate inference being drawn from the facts that the floor test should be avoided and, instead, the draconian provisions of Article 356 should be invoked. The Supreme Court had restored President’s Rule on April 22 barely a day after the state High Court quashed the Centre’s decision and restored the Harish Rawat-led Congress government. The SC bench admitted the Centre’s challenge to the High Court decision and brought back President’s rule in the State for the simple reason that the judgment, dictated on April 21 by Uttarakhand Chief Justice K.M. Joseph in open court, was not yet available in the public domain. The High Court had on April 21 quashed the order of the Central government that had put the State under President’s Rule on March 27. Deciding that the Congress shall return to power, the Division Bench of the Court also ordered that a floor test must be held in the Uttarakhand Assembly on April 29 where former Chief Minister Harish Rawat’s claim of having majority support shall be put to test. The Division Bench comprising Chief Justice K.M. Joseph and Justice V.K. Bisht had decided to reserve the verdict for later, but taking the apprehensions of Rawat’s counsel into consideration where it was being feared that the Central Government might revoke President’s Rule and try and get the BJP to form government in the State before the Court’s final verdict in the case, the Bench took the decisions on quashing Presidential Proclamation on Thursday itself. Uttarakhand Chief Justice Joseph said that the Court was "pained" by the Centre's actions in the case on imposition of President's Rule in Uttarakhand where the Centre was acting like a "private party". He said that the Central government, which should be impartial, was acting like a "private party." “We are pained that the Central government can behave like this. How can you think of playing with the Court?" Chief Justice Joseph said. Questioning the Centre over planning to attempt revoking President's Rule before court's final verdict, Chief Justice Joseph slammed the Centre for such attempts. The Chief Justice said, "If they [the Centre] revoke Article 356 and try and form a government... What is it but a travesty of justice?"